We live in an incredibly noisy world. The world is so noisy, in fact, that most people have resorted to the most base tactics – and those involve emotional reactions and responses – to be seen and heard. These tactics, which are more common than not and are all around us, even though we may not even be aware of them, include gimmicks, sensationalism, and manipulation. But are gimmicks, sensationalism, and manipulation okay to use? Should quintessential leaders use them? That’s the topic we’ll discuss in this post. Lets look at some examples of what gimmicks, sensationalism, and manipulation look like first. As you go through your day today, I challenge you to look at all that you read and see and be aware of whether they are gimmicks, sensationalism, and manipulation or not. If you’re paying attention, I believe you will have an eye-opening day. 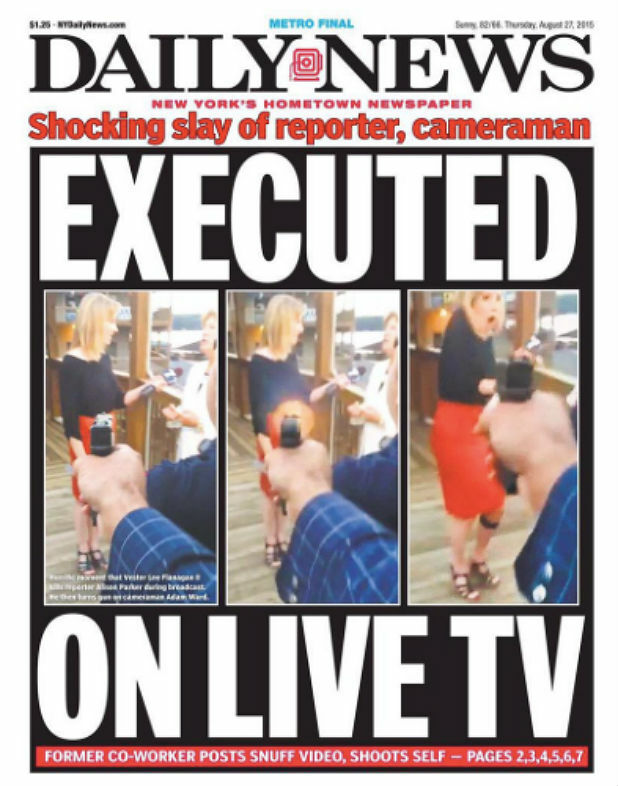 The front page of the August 27, 2015 New York Daily News, pictured below is an example of sensationalism. The ad below for the ASPCA (American Society for the Prevention of Cruelty to Animals) featuring Sarah McLachlan’s 1997 hit song “Angel” is an example of manipulation. These quotes and titles from a random sampling of the internet in the last week are gimmicky, sensational, and manipulative. First, they appeal directly to emotions and are designed to provoke an intense emotional response. Disgust. Sadness. Elitism. Fear. Hope. Happiness. The second thing that they have in common is that they are dishonest, deceptive, manipulative and unproven. The third thing they have in common is that they play on the gullible susceptibility of humans by promising, in most cases, something they can’t deliver. But this is the way the majority of society has adopted to entice people to open the doors of their message or product because “smart” marketing says if someone opens the door the odds of them coming in and staying are very high. This is the bait and the hook. 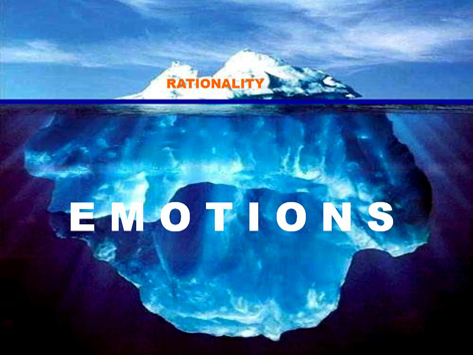 And once emotions are involved, it doesn’t matter whether it’s true, right, logical, factual, or proven. Because emotional decisions don’t depend on anything real (how things are), but instead on sensation (how things feel). Back in the day, this would have been called yellow journalism. Now it’s called emotional marketing. There are many things wrong with these techniques. Here are a few of them. First, when a person or an organization is appealing to emotion, they are appealing to the irrational side of humans. Decisions made strictly on an emotional basis, with no consideration of logic and facts, are always, at the least, regrettable decisions and, at the worst, bad decisions. And these kinds of decisions can – and often do – have disastrous consequences in peoples’ lives. 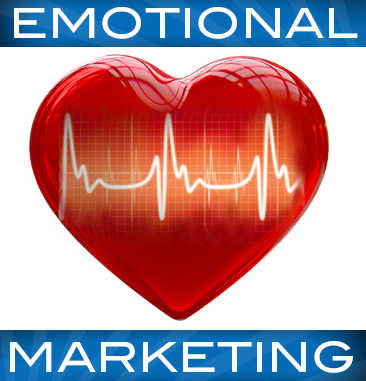 Second, a person or organization using emotional marketing is being dishonest and deceptive. Not only are they promising the moon, which no human can deliver, but they are intentionally misleading and manipulating other people to buy whatever they’re promoting or selling. If a person or an organization draws people in under false pretenses and in an untrustworthy manner, then the logic follows that whatever they are promoting or selling can’t be trusted in terms of efficacy, quality, or longevity. Third, people or organizations using emotional marketing are revealing both a lack of care and concern for others and a lack of personal integrity and character. Because emotions are subjective and easily manipulated by gimmicks and sensationalism, using this type of marketing to reel customers in is a reflection of both a win-at-all-costs and the-end-justifies-the-means mindset, which is at the core of unquintessential leadership. 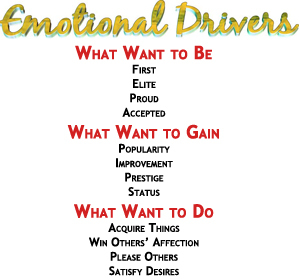 Unfortunately, most people are unaware of the emotional marketing that is thrown at them continually. And because society, in general, has abandoned logic, reason, and critical thinking in all its decision-making, it’s a safe bet to say that most people don’t really care if they are being manipulated and deceived by emotional marketing. Notice that the first statement can’t be substantiated and has no objective data (ingredients that are different or better than specific competitors or the results of customer taste tests), but it promises healthier and tastier than any other tea that exists in the world. The second statement also can’t be substantiated and is again lacking objective data to quantify it (e.g., 100 people who drank XYZ brand of tea in Yuma, Arizona on a 118-degree day in August said it was refreshing). The third statement appeals to how a person looks (less calories equals less weight) and how a person feels (better than ever before). The question of “how do you know?” is never addressed because of our lack of awareness and lack of care about being manipulated into buying something because it appeals to us on an emotional level. When we get accustomed to accepting things without proof, to using our emotions to guide our decisions and choices in life, to abandoning logic, critical thinking, and reason – which emotional marketing makes easier and, eventually, the default way we live life – we are at great risk for being more susceptible to deception, dishonesty, and manipulation every where in our lives. Quintessential leaders don’t use emotional marketing. They don’t use gimmicks, sensationalism, and manipulation. They use facts, logic, and critical thinking. They prove what they say and do before they say and do it. And they expect everyone – their teams, their audiences, and their customers – to do the same. Nothing less than this method is acceptable. The reality is that nothing less than this method should be acceptable for any of us, but even more so for those of us who are striving to be quintessential leaders. 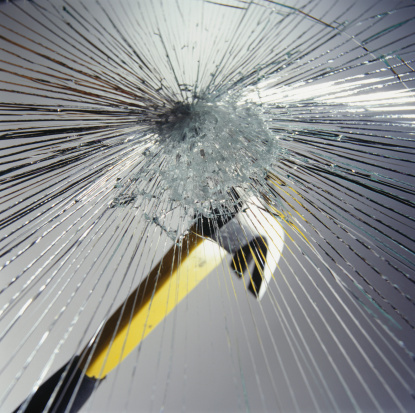 The mirror test, as always, will tell us whether we have fallen into the trap of emotional marketing as quintessential leaders. Do we consistently appeal to emotional responses by gimmicks, sensationalism, and manipulation to motivate our teams, to build our customer bases, and as a way of life? Have we abandoned facts, logic, and critical thinking in our decision-making? Do we prove everything for ourselves or do we just accept whatever we see, we read, or we are told without any substantiation? Have we moved more toward emotional marketing and away from factual, logical, and provable information in our lives, both as leaders and as consumers? Do we even know the answers to any of these questions? If we find that we don’t know the answers, then now is the time to examine our lives and figure out what we are doing and why. If we find answers that show that we have embraced emotional marketing both as leaders and as consumers, then today is the day to begin to change that with a return to facts, logic, critical thinking, and truth, which will lead to us rebuilding our integrity and becoming trustworthy. If not, then you cannot claim to be a quintessential leader. In fact, you can’t claim to be any kind of leader. Instead, you are a duped follower of a dishonest, deceptive, manipulative, and untrustworthy system that has infiltrated every part of modern society. If that’s okay with you and you can live with it and yourself, then this post won’t matter to you and you’ll dismiss it along with any other things in your life – including those occasional pangs of conscience that knock on your brain but you brush away and ignore – that demand a higher standard, a different standard, a standard that sets the right example for others. But if it’s not okay with you, then join me in daring to be different and daring to do the right thing all the time and daring to become a quintessential leader in every aspect of our lives. This post will do a quintessential leadership analysis of Henry VIII during the years between 1525, when Anne Boleyn came on the scene and Catherine of Aragon became an inconvenience, and 1536, when Anne Boleyn was executed. It’s important to note at this point that although Catherine of Aragon produced only one child – Mary I – during their marriage (she had several miscarriages, as did Henry VIII’s other wives, which now seem to have been scientifically linked to Henry VIII himself, who may have had a rare blood type known as Kell positive), up until 1525, she and Henry VIII seemed to have had an amiable marriage, in spite of Henry’s philandering. 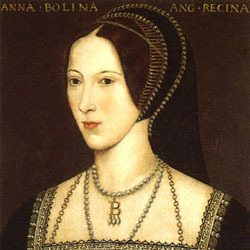 Anne Boleyn, who often carries the lion’s share of the blame for what happened to Catherine and in England during the next 11 years, was in fact only a single factor – although perhaps the tipping one – in what led to the tumult and upheaval within the royal family, the country, and the church during that time. 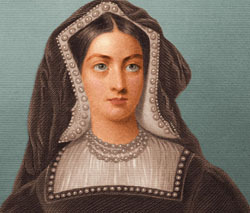 Several factors had an impact on why Henry VIII suddenly reversed himself on the legality of his marriage to Catherine in 1525 after they’d been married for 16 years (their marriage would not be annulled by the Church of England until 1533, but Catherine of Aragon never accepted the decision and maintained that she was Henry’s wife and the queen until her death from natural causes in 1536). The French monarchy, the Holy Roman Empire, Thomas Wolsey, and Henry’s and Wolsey’s enemies at court were major players in where English international relations were in 1525 and how they were quickly thrown up in the air and changed dramatically within a year. By 1520, France and the Hapsburg dynasty were becoming the powers to be reckoned with in Western Europe. In 1520, eager for a Franco-Anglo alliance, Thomas Wolsey arranged a meeting between Francis I, the king of France and Henry VIII at Field of the Cloth of Gold in the Netherlands in 1520. Henry and Francis were very much alike in their educations, interests, and athleticism. They were also both extremely competitive. In addition to the political purposes of this meeting, tournaments had been arranged to show off the skills and abilities of the two young kings with the agreement that they would not compete against each other. Henry broke the agreement – an act of unquintessential leadership that he became well known for – by challenging Francis to a wrestling match in which Henry emerged as the loser. As a result, no alliance came out of the two-week meeting and relations with France were definitely worsening. Not long after the Field of the Cloth meeting, the ever-scheming Wolsey, whose greatest aspiration was to be a pope, decided to throw England’s lot in with Charles V, who was at the time the king of the Hapsburg dynasty. Charles V was also the nephew of Catherine of Aragon and his allegiance to his aunt was unquestioning. In the 1520 meeting that Wolsey arranged between Charles V and Henry VIII, they agreed to form an alliance against France, with Charles providing the land power and Henry providing the sea power. In addition, Mary I was betrothed in marriage to Charles V, which strengthened the bond of the alliance. Charles led a very successful campaign against France, capturing Francis I in the first battle in 1525. This was also the year that Anne Boleyn came to court. The same year Henry named his illegitimate son, Henry Fitzroy, as heir to the throne, and gave him the titles and lands that would ensure his succession. The move infuriated Catherine, who believed Mary should be the heir to the throne, and perhaps initiated the bitterness that consumed her, understandably, the rest of her life. Even though Henry had a male heir in place, he still wanted a legitimate male heir to succeed him. This driving desire brought out other unquintessential leadership traits in Henry that would be present the rest of his reign: changing the rules when they didn’t suit him, bullying, and trying to force everything to go the way he wanted it to and if it failed, blaming anyone and everyone involved and eliminating them by arrest on false charges and execution. The bloody period of Henry VIII’s reign was about to begin. Anne Boleyn had already caught Henry’s eye. However, she refused to become his mistress and indirectly told him the only way Henry could have her was if Anne was his wife. Eager for a legitimate male heir and convinced, probably accurately, that Catherine would never be able to give him a male heir, Henry sought a way to dissolve his marriage to Catherine so he could marry Anne Boleyn. Citing “new ecclesiastical understanding” based on Leviticus 18:16, Henry met with Wolsey and told him that God had cursed the marriage and he wanted Wolsey to go to Pope Clement and have it annulled. Henry used the issue of not knowing whether the marriage between Arthur and Catherine had been consummated (it is unlikely it was and Catherine maintained that it had not been, in which case the scripture wouldn’t apply), but passionately said that piety and obedience to God left him no choice but to end the marriage. Wolsey was a shrewd politician and understood the position Henry was putting himself and Wolsey in politically and religiously and tried to talk Henry out of divorcing Catherine. Henry, showing another unquintessential leadership trait, refused to listen and demanded that Wolsey obtain the annulment. Pope Clement VII, at first, simply ignored Wolsey’s request. At the time, he and Charles V were enemies, and he knew that granting the annulment would have serious consequences for Rome. Henry kept pushing Wolsey and Catherine began a campaign of her own to save the marriage by sending surreptitious messages to Charles asking him to intervene. When Charles heard that Henry wanted to divorce his aunt, while he did not intervene then with the pope, he immediately ended his engagement to Mary and took a wife. When Henry found out, he ended his alliance with Charles and entered into an alliance with France against him. Meanwhile, Wolsey was between a rock and a hard place. Pope Clement, who had by now been captured in Charles’ defeat of Rome, had given him the authority to have a convocation of the cardinals in England to get the facts together, but had denied them any authority to make a binding decision. The struggle between the pope and Wolsey and Henry, who by 1528 had declared, in another unquintessential leadership stance, the sole and supreme religious and political law in England. While Henry didn’t directly, at this point, say the church in Rome didn’t have any authority over him, he certainly implied it. Henry began to take his case to the citizens of England, hoping to gain mass support from his subjects. He had two big obstacles. One was the sheer power the Catholic church had over aspects of the average Englishman’s life. The church was the center of English life. The second was Catherine’s popularity among the people, and the sense they had that she was getting a raw deal from Henry. Wolsey continued to unsuccessfully try to obtain the annulment. Finally, Henry got fed up with his failure to do so – and because Anne Boleyn didn’t like and didn’t trust, for good reason, Wolsey and urged Henry to get rid of him – and had him arrested in November 1530 on charges of treason. Wolsey died of apparently natural causes – but who knows? – on his way to his trial on those charges later that month. Had he not, there is absolutely no doubt he would have been convicted and executed. By 1531, Henry had moved further toward openly questioning the authority and the power of the pope and the Catholic church. He sent all the evidence for the divorce and the ensuing cardinal convocations with papal restrictions to the leading theological scholars at all the major universities in Europe to ask for their opinions. They were all in agreement that Pope Clement had exceeded the limits of his power and authority. He also had English theologians developing reforms to the church in England, which included non-papal and non-Roman authority but only English authority – with the ruler as the head of the church – and he took the legal arguments to Parliament to adjudicate in December of 1531. Parliament also agreed that the pope had abused his power. Pope Clement obviously was not happy with these developments and warned Henry of excommunication if he continued. However, Henry barged forward. Thomas Cromwell, Henry’s chief statesman and an ardent supporter of the English reformation (a position that led him down a path similar to Wolsey’s in actions and made him a hated enemy of those in the English court who did not want to break with Rome), called a meeting of the English bishops in which he charged them with treason because of their loyalty oaths to the pope which conflicted with their loyalty to Henry. Henry took the bishops’ pledge to Parliament in January of 1532 and demanded that they produce official legislation that codified the pledge of loyalty to him, while keeping Catholicism as the official faith of England. This precipitated the final break with Rome. In 1532, Thomas Cromwell engineered a meeting between English church officials and Parliament from which a conclusion was reached that an appeal to Rome about the dissolution of Henry and Catherine’s marriage was not necessary. The result was an English conclave of the bishops and Thomas Cranmer, the Archbishop of Canterbury, in which the decision was made to allow the divorce of Henry and Catherine. This resulted in the immediate severance of the English church from Rome, Henry being excommunicated, and the door opened for his marriage to Anne Boleyn. Catherine, however, continued to appeal to Rome, as a Catholic in good standing, until her death to intervene and restore the marriage. The bridges that Henry burned made her appeal fall on deaf ears. In January 1533, with a new/old (Henry never gave up his Catholic beliefs and the Church of England stayed essentially Catholic in theology and look and feel, much as it does even today) church in place with Henry as its supreme leader, Henry and Anne were married. Another unquintessential leadership trait that Henry had now becomes more apparent: the chase appeals to him far more than the conquest. By all accounts, the marriage was tumultuous. Henry began cheating on Anne almost immediately, and she, unlike Catherine, but very much like Henry, was strong-willed, opinionated, and not afraid to fight with Henry. Anne also made many enemies at court because she was a strong person, so there were many people eager for a chance to undermine her and get rid of her. Perhaps Anne’s worst fault, in Henry’s eyes, was that she didn’t give him a legitimate male heir. The marriage produced a daughter, Elizabeth I, in September 1533, who in the end succeeded Henry VIII, but not without her own wild and crazy ride to succession, but if there were any other pregnancies, they ended in miscarriage. Anne’s enemies in court, sensing Henry’s disillusionment with her, began badmouthing her to Henry as early as 1534. Another unquintessential leadership trait that Henry had is that he listened to and believed them because it would give him an excuse to get rid of her and marry again in hopes of producing a legitimate male heir. On May 2, 1536, Henry had Anne arrested on charges of adultery (unproven) and witchcraft (also unproven, but the highly-charged superstitious mindset that had developed during the Middle Ages and cast a long shadow over human thinking until the 18th Century, was very much alive and well), among others. Anne was executed by beheading 17 days later on May 19, 1536. That this is unquintessential leadership should go without saying. In the next post, we’ll do a quintessential leadership analysis on the last 11 years of Henry VIII’s life and reign. Recently, I sat down and watched, for the second time, back-to-back, the last two movies of the Star Wars prequel trilogy – Episode II: Attack of the Clones and Episode III: Revenge of the Sith. I had not seen either movie in several years, but wanted to review them after a recent Star Wars marathon on Spike TV during the Thanksgiving weekend when I saw most of all the three Star Wars movies in the original trilogy. As I watched these two movies, I was amazed to see a lot of quintessential leadership – the presence or lack of presence – issues emerge. 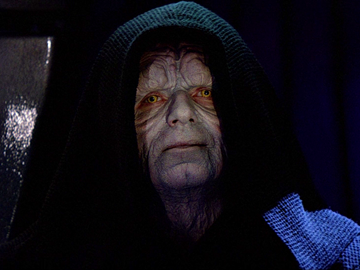 I decided to do an analysis of how Anakin Skywalker became Darth Vader, because in looking at the transformation, we can learn some important lessons about quintessential leadership – what it is and what it isn’t and how the presence or absence of the components of trust and trustworthiness, which I’ve discussed in detail in this blog, determine whether even the most competent, gifted, and capable people are also quintessential leaders. One of the first things I noticed this time is how much Anakin and Luke Skywalker were alike in temperament and thinking. Both men were extremely gifted, but both also overestimated their gifts and their abilities and it created a recklessness and pride in them that clouded their ability to think clearly, to be humble, and to exercise self-control. Both Anakin and Luke Skywalker were inconsistent in performance. At times, they both did the right thing, and at other times, they both did the wrong thing. Emotionally, they were both out of control, and they both lived their lives based on their feelings, which is why they both had an inconsistent level of performance. In short, they were unreliable and unpredictable, which are traits of unquintessential leaders. Additionally, both Anakin and Luke Skywalker shared the trait of impatience. This came in part from pride and their overestimation of themselves, but it also came from a lack of contentment with where they were and what they were doing and the ability to see each step as part of a big-picture process. They both wanted, for example, to be Jedi knights – and both pretended to be before they were – before they had met all the qualifications through training and experience to actually be a Jedi knight. This is a common character flaw that we find in unquintessential leaders. They want to positions, the titles, but they are either unwilling or unable to patiently do the work and take the time to be qualified to have those positions and titles. When they find a way – as Anakin did – to take a shortcut to where they believe they should be and want to be, the results are always disastrous. Luke, in spite of sharing many of the unquintessential character traits of his father, turned out to, when push came to shove, avoid the same path his father had chosen. But it occurred to me that even though he did the right thing in the end, he still had the character flaw that he shared with Anakin of questioning the fairness of things as it related to him and he never completely learned to control his emotions, so Luke, as a force for good, long-term, remains questionable in my mind. Doing one right thing one time doesn’t make a person’s character. Right character is developed through a lifetime of making the right choices every time, all the time. Granted, none of us does this perfectly, but a quintessential leader has this at the front of his or her intent and purpose at all times. That’s the quality of integrity. So let’s look briefly at the unquintessential leader traits that Anakin Skywalker had that led him to choose to become Darth Vader. Notice that I purposefully used the word choose, because that is a crucial element in this discussion: the totality of all the choices in life that each of us makes is an integral component of whether we are quintessential leaders or unquintessential leaders at our core. Granted, there are gifts, abilities, talents that contribute to this equation, but even there, we have the choice to develop them or ignore them, use them or not use them, and to decide how we’re going to use them, so choice is always involved at the fundamental level. In Episode II: Attack of the Clones, we see Anakin Skywalker as a young adult and in an apprenticeship with Obi-Wan Kenobi to become a Jedi knight. One of the things that stands out about Anakin’s character, even here, is how forcefully he is led by his emotions. He’s a no-holds-barred kind of person when it comes to how he feels. His pursuit of love is untamed and relentless. His fears rule his days and nights. His anger is fierce and hot. His resentments about the things he believes aren’t fair seethe steadily just under the surface, occasionally spewing out in volcanic outbursts. Interestingly, both Yoda and Obi-Wan Kenobi – as they would years later with his son – are constantly warning Anakin about self-control in all areas of his life (choices), but especially with regard to his emotions. Anakin doesn’t realize that being led by his emotions is the destabilizing force in his life. 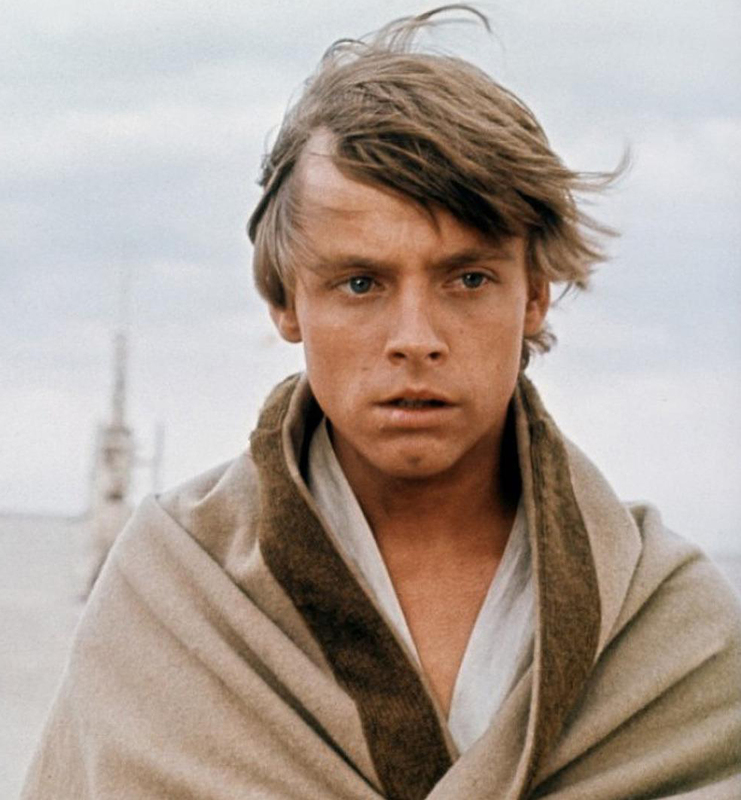 Emotional thinking crowds out objective thinking and the ability to observe things are they are instead of things from – as Obi-Wan ironically tells Luke to explain not revealing Darth Vader as Luke’s father – from a “certain point of view.” Emotional thinking leads to inconsistency, which is an unquintessential leader trait. The roots of Anakin’s discontent, which is fueled by his rampant and conflicting, at times, emotions are evident in this episode. He doesn’t see, for example, Lord Palpatine clearly, and believes he is one of the good guys, while Lord Palpatine is slowly and deliberately using Anakin’s emotional thinking and lack of objectivity to surreptitously manipulate Anakin. Anakin believes that things the Jedi are or aren’t doing for him, with him, and to him are not fair and are holding him back. This belief is fully cemented in Episode III: Revenge of the Sith, and it becomes the underpinning of all the choices he makes from there on out. 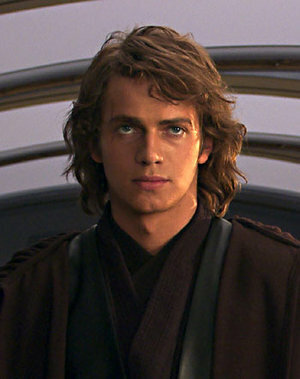 As a result of Anakin’s lack of self-control, not only with his emotions, but in the rest of his life, where we see the same vacillation between extremes that his emotions have start appearing, we see three other unquintessential traits appear: a lack of integrity, a lack of honesty, and a lack of authenticity. Anakin becomes dishonest with everyone, including himself, in these two episodes. Anakin isn’t even truthful with his wife, even though his fear – uncontrolled emotion – of her dying in childbirth leads him to choose to become Darth Vadar, because Lord Palpatine offers Anakin the power to prevent her death. This dishonesty also points to Anakin’s self-absorption, self-centeredness, and selfishness. No longer is he focused on the big picture of why he is there and what the mission of the Jedi is. It no longer is important to Anakin by the end, only what he wants and what he feels and what he needs. In a sense, even his wife and twin children go off Anakin’s radar because his choices will dramatically and negatively affect them. Near the end of Anakin’s road to choosing to become Darth Vadar, he straddles the line between being a Jedi apprentice and being Lord Palpatine’s apprentice. He is thoroughly inauthentic, double-minded, and we watch as he walks the tightrope of trying to be someone that he has already abandoned being in his mind and in his emotions. The Jedi sense that something’s wrong, as does Anakin’s wife, but Anakin has gotten so good at pretending to be something he’s not that no one realizes what is really wrong until it’s too late. Anakin’s issue with integrity was always there, but he made choices in both episodes which eroded and destroyed his integrity completely. A simple – and yet not simple when we examine it – example is his marriage to Padmé Amidala. 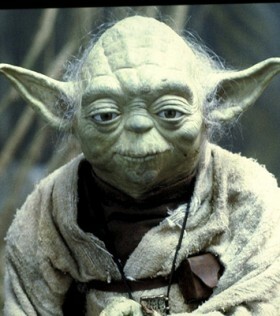 The Jedi code forbade close attachments because of the emotions those attachments engendered and which the Jedi realized could dilute a Jedi’s obligation to his primary duty and could make him a vulnerable target for the dark side of the force. But Anakin made a choice to deliberately break the Jedi code and marry Padmé in secret, and then further chose to hide their marriage and lie about their marriage, and encouraged Padmé to do the same. I think this is the defining event that destroyed any integrity that Anakin had left. So, by the end of the third episode, we have seen all the choices along the way that Anakin Skywalker made that led him to choose to become Darth Vader. He had tremendous gifts, great abilities, and a lot of potential. But he lacked the traits of a quintessential leader, so, in the end, all that Anakin possessed naturally didn’t matter. We see the the same lack of quintessential leadership traits in the machine-driven-Darth Vader in the first Star Wars trilogy: his outside has changed, he’s got more power, but the inside – what he lacked or destroyed by choice to begin with – remained remarkably the same. 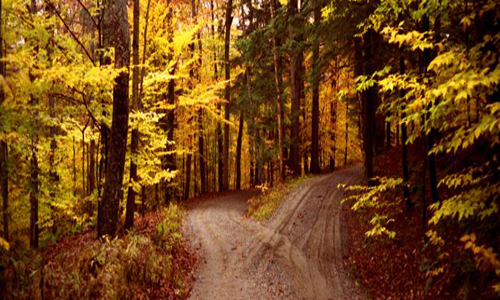 The question I leave with you is what are all the choices that are we making today? Are they choices that will enhance our quintessential leadership potential and realization, or are they choices that are eroding our quintessential leadership potential and are cumulatively making us unquintessential leaders? Every choice matters. Let’s make every choice count toward quintessential leadership.